Lying in the workplace? You bet there is. Special guest: Dr. Bob De Young from the Family Center for Behavioral Health. National Big Whopper Liar Day is an interesting holiday that even Pinocchio can appreciate! It began back in 1988… every third Saturday in September, people have gathered in New Harmony, Indiana to celebrate! Here’s how it works. About fifteen contestants take the stage in front of a crowd of a few hundred people. Each contestant gets approximately 3-4 minutes to spin the most incredible yarn they can come up with. Judges award points for exaggeration, humor, stage presence and storytelling ability. In real life settings, both personally and professionally, lies aren’t so funny and entertaining. The statistics state that, on average, people are lied to somewhere between 20 and 200 times per day! WHY? Why lie? Research states that we lie for many reasons. A popular lie is to lie by exaggeration. Many times we meet job seekers that exaggerate their experience and skills on their resume. Or, we’ve seen employers lie by exaggeration about their culture. They sing about how wonderful it is to work at their company and how happy their employees are. All in an attempt to lure the interviewee into thinking it’s all true. Does anyone ever really win in these situations? No. We lie for a lot of reasons and here are a few truths about lies. When you have the courage to speak the truth, about anything, then you are free. You are free from secrets. You are free from having to remember the lies you have told. You are free from pretending. You are free from being an imposter. When we openly speak the truth, we can do so in kind ways. We all deserve the truth. No matter how difficult it may be to hear. Before telling a lie, hit the pause button and think about the repercussions. 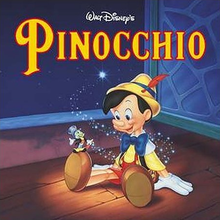 Let’s leave the entertainment with Pinocchio and strive to give others the truth.